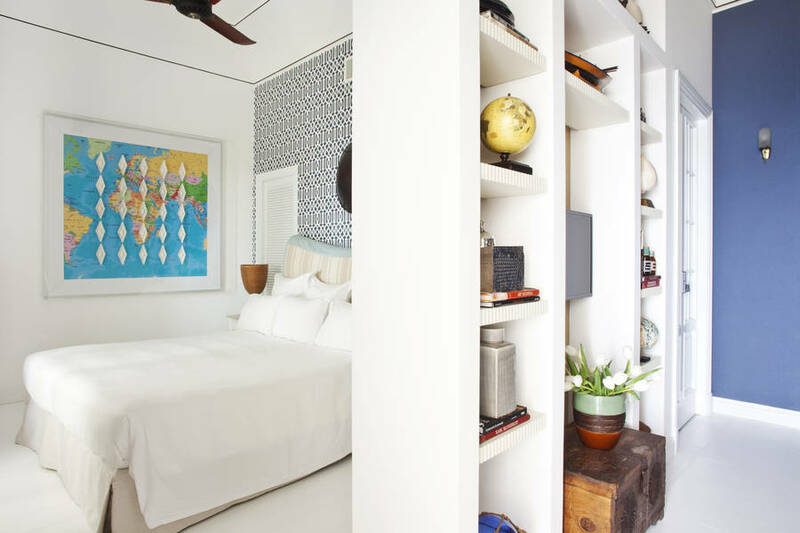 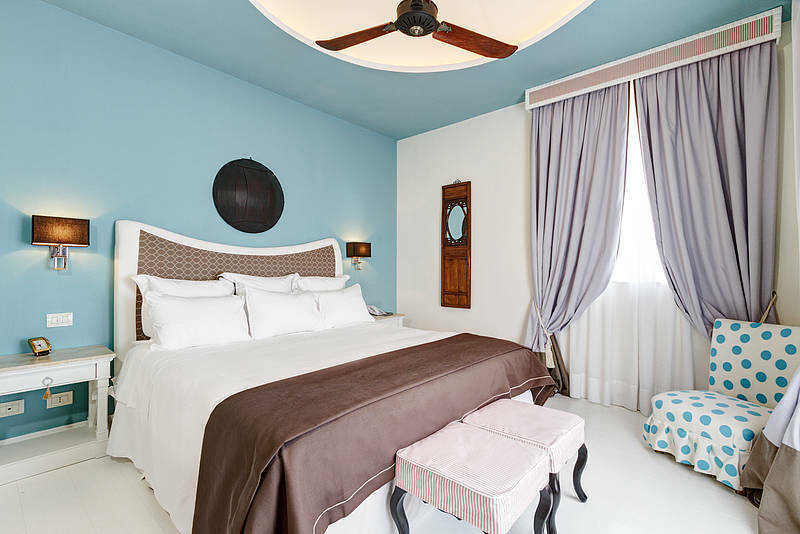 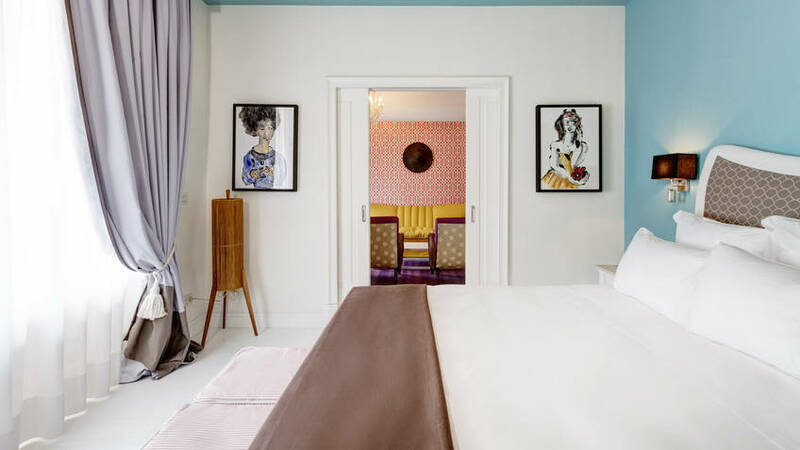 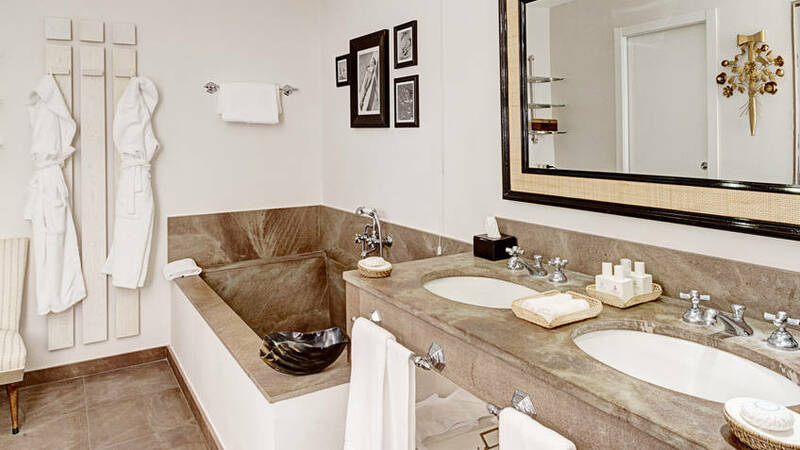 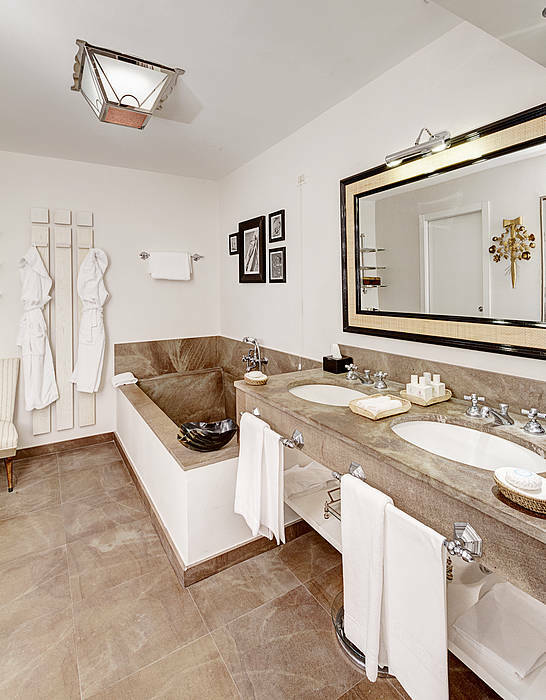 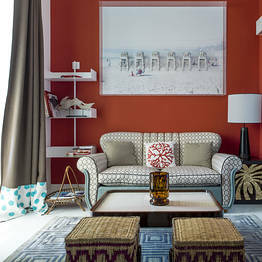 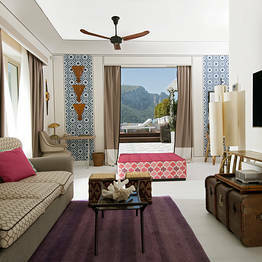 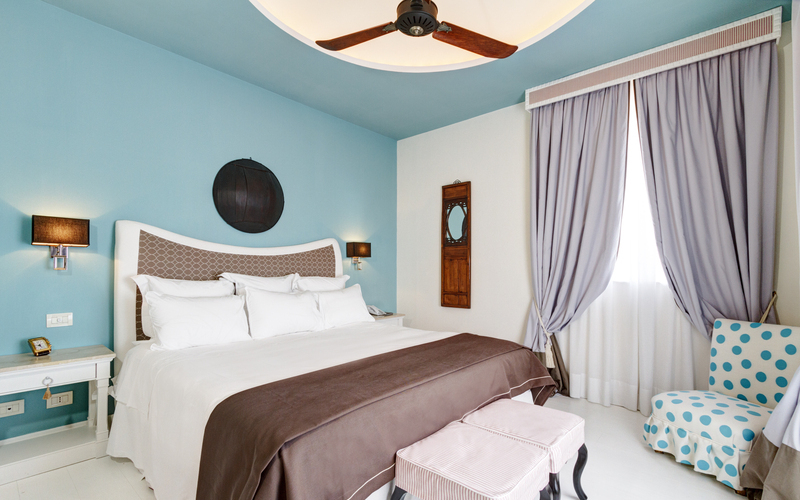 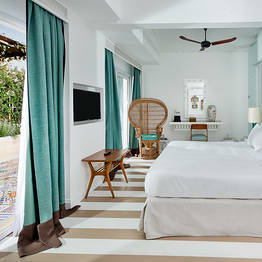 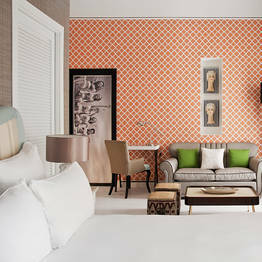 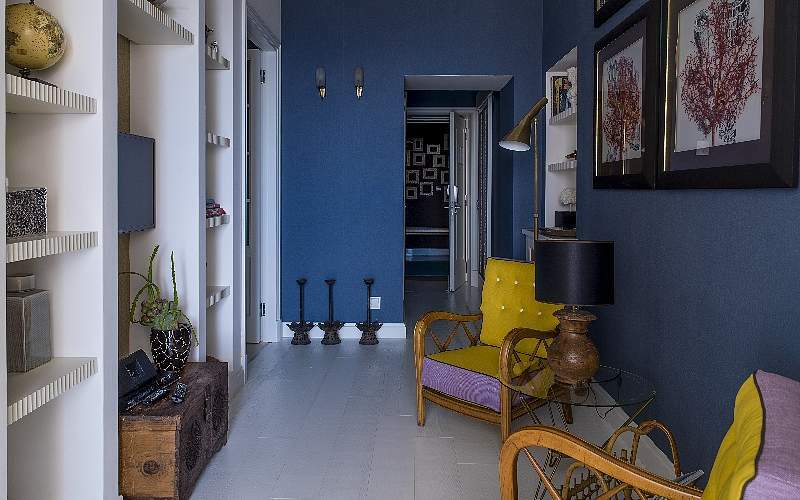 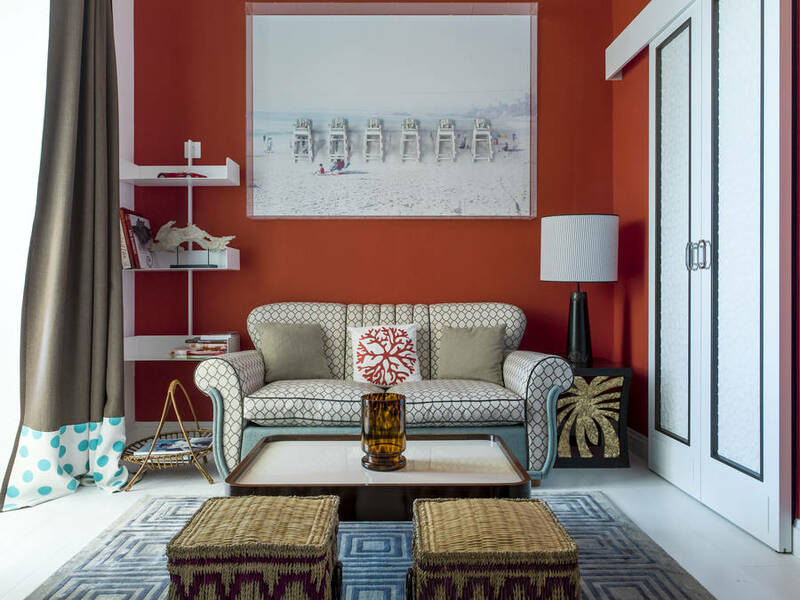 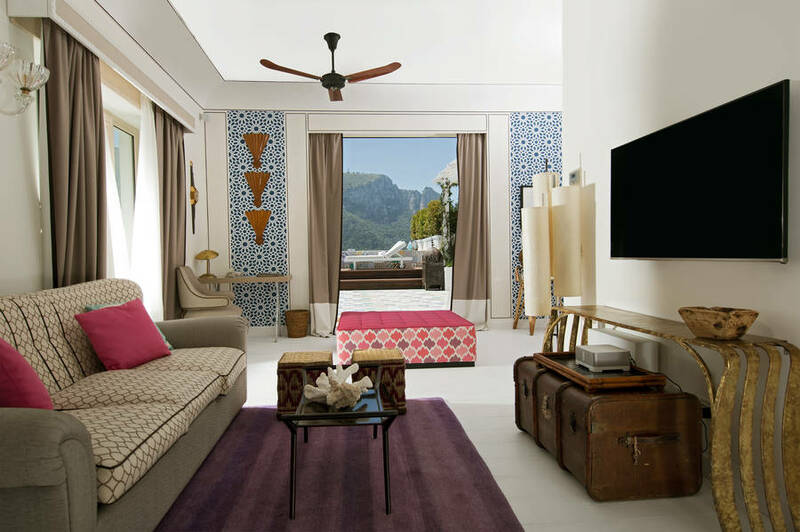 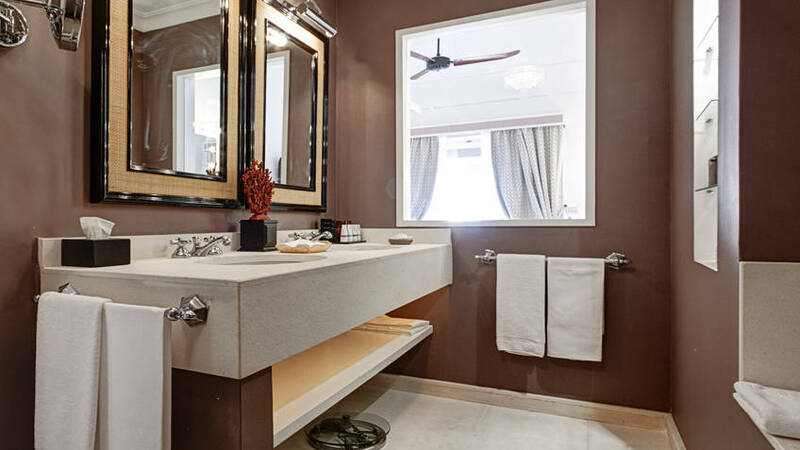 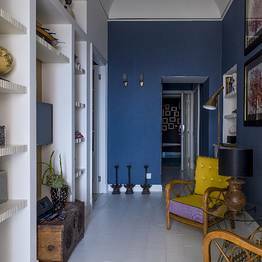 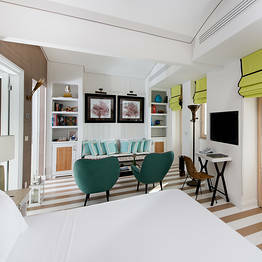 The One Bedroom Suite has a contemporary-chic outlook with a Capri in the '50s touch. 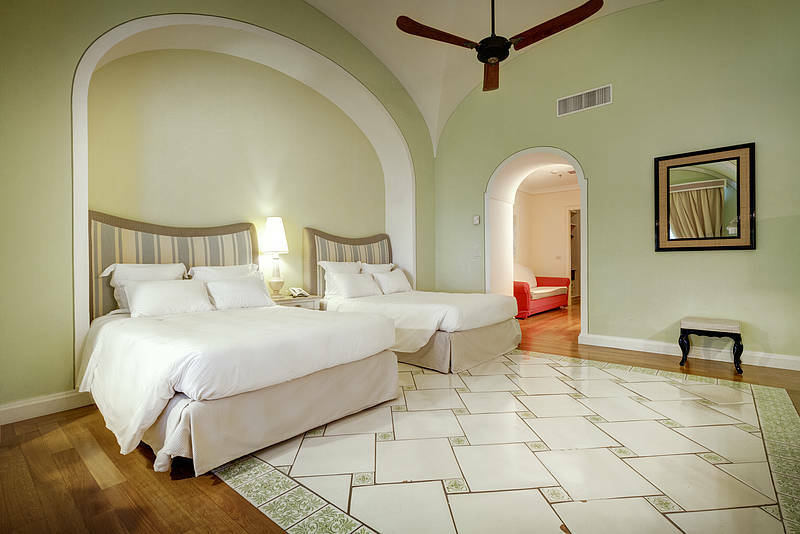 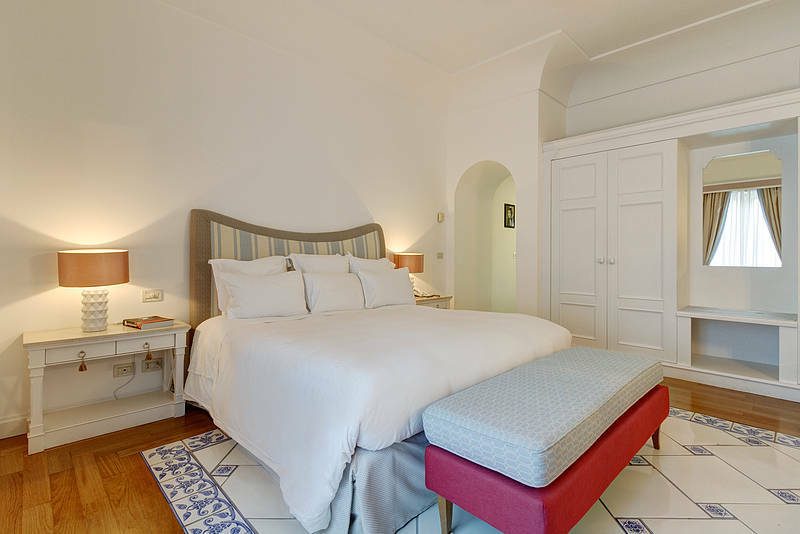 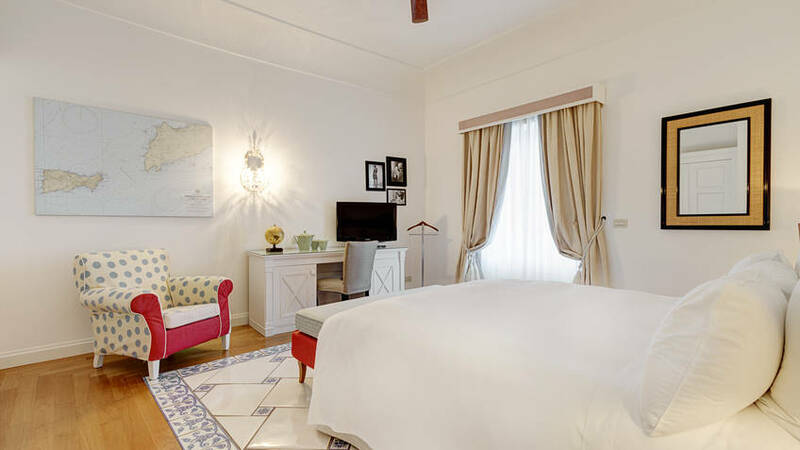 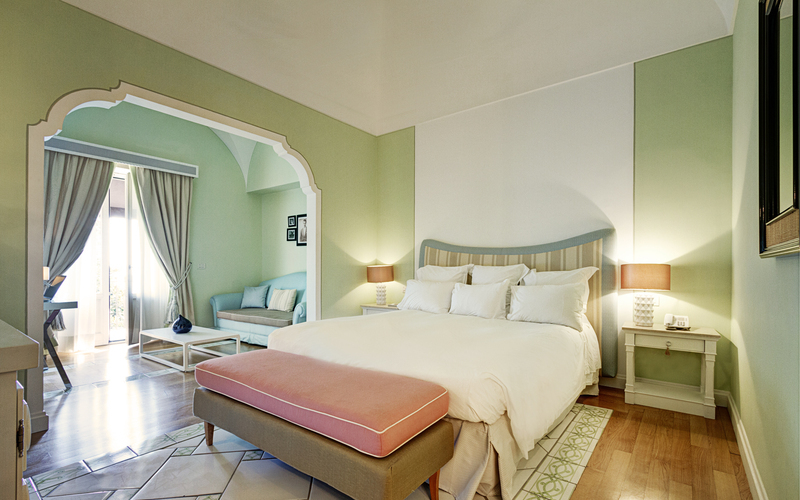 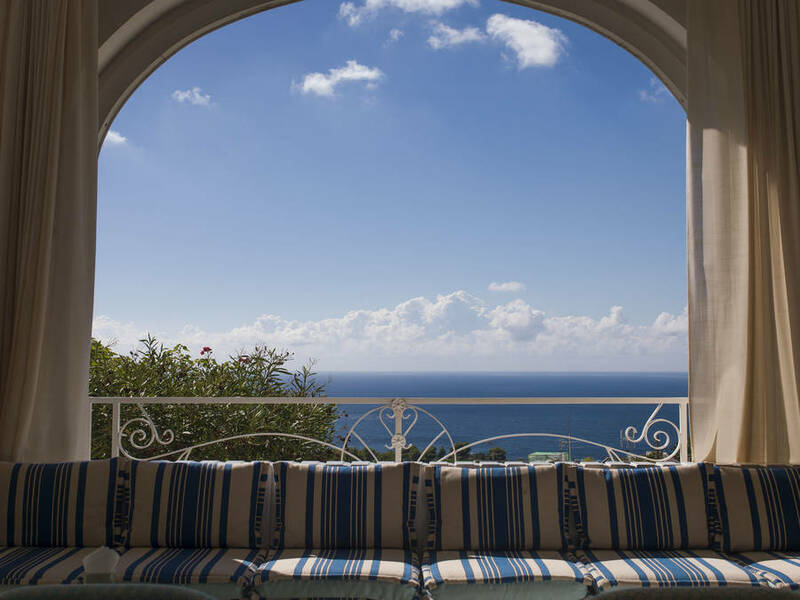 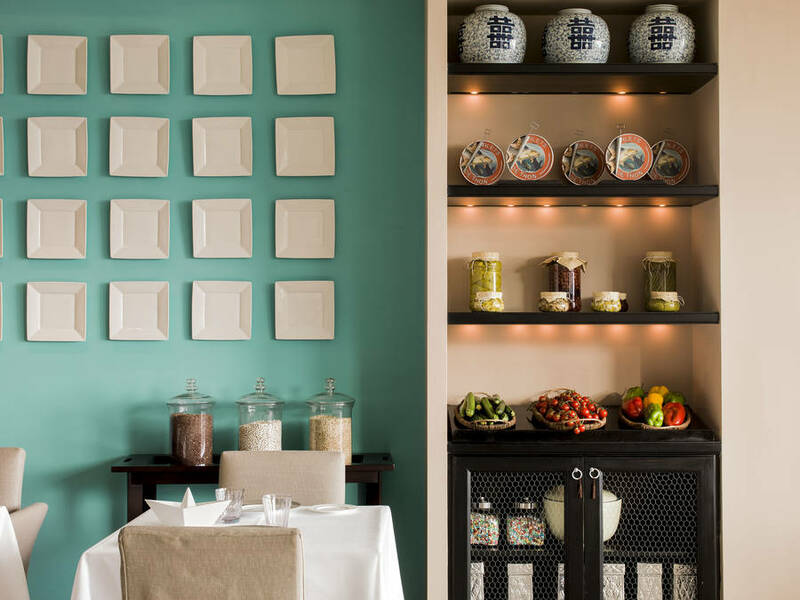 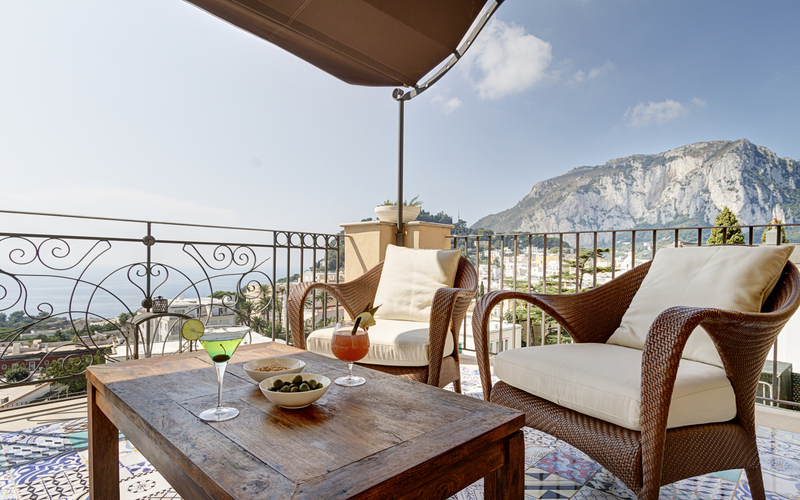 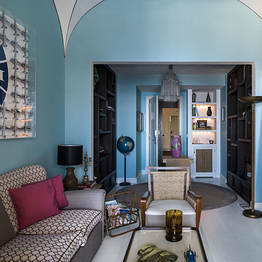 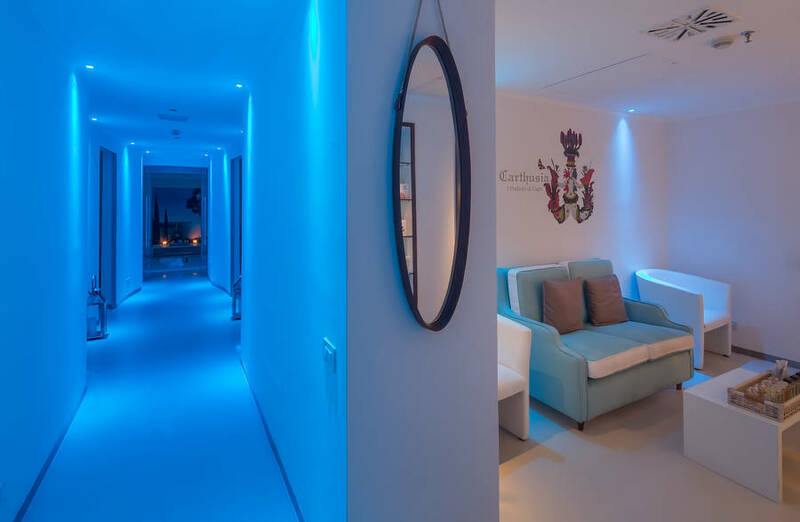 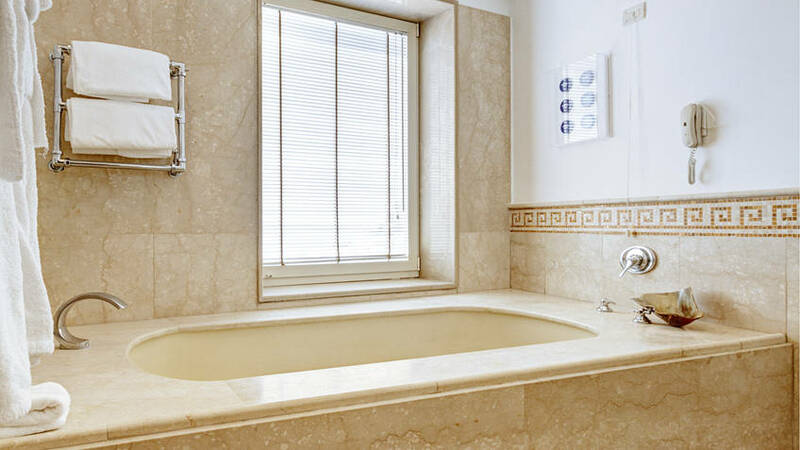 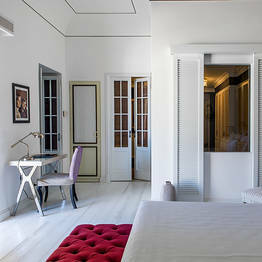 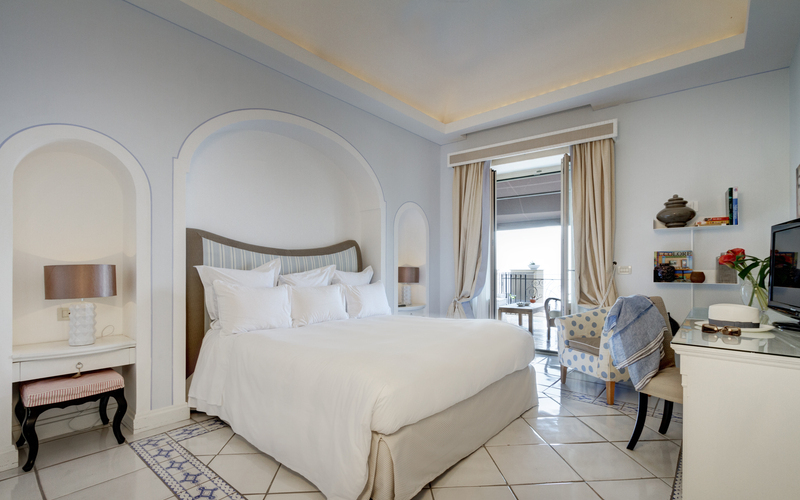 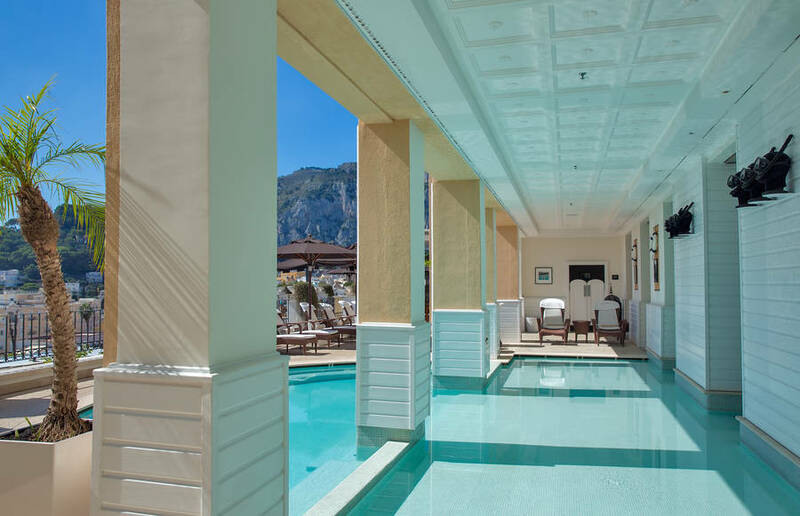 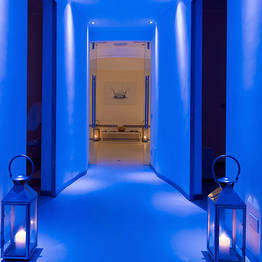 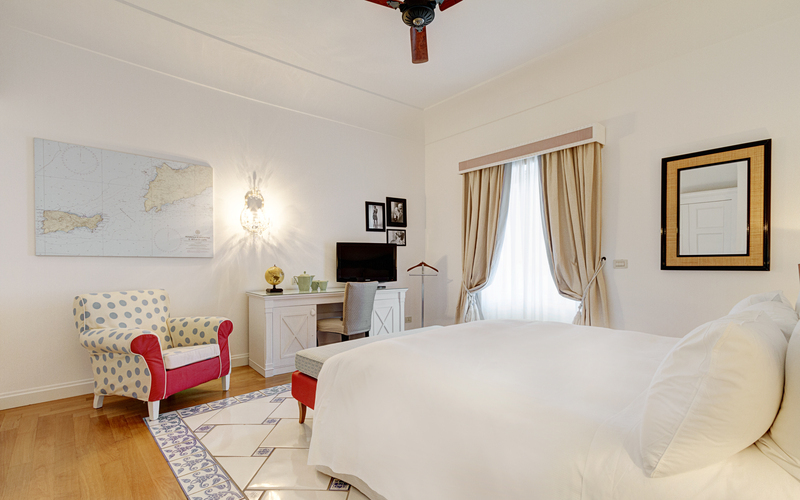 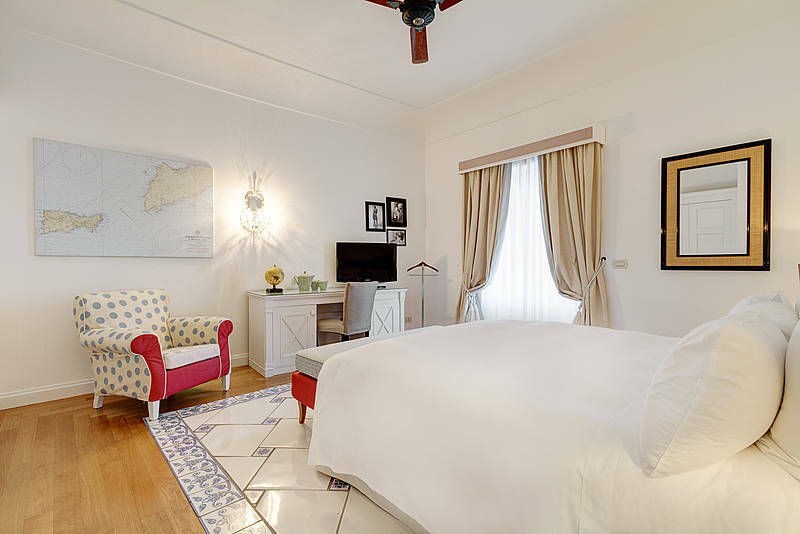 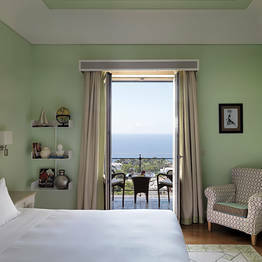 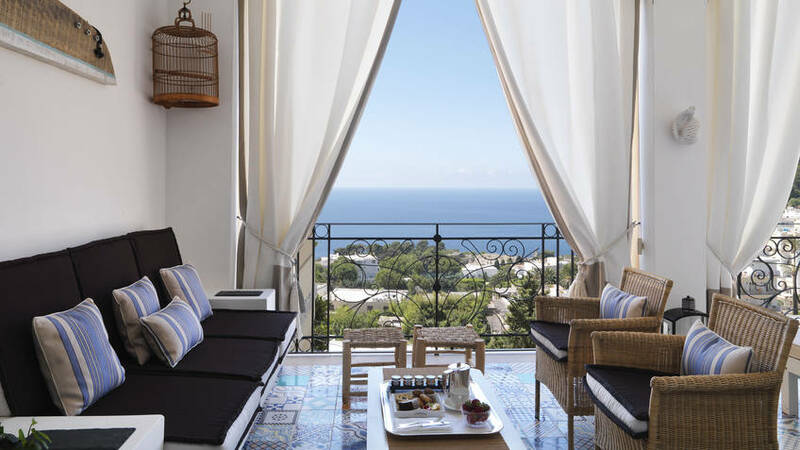 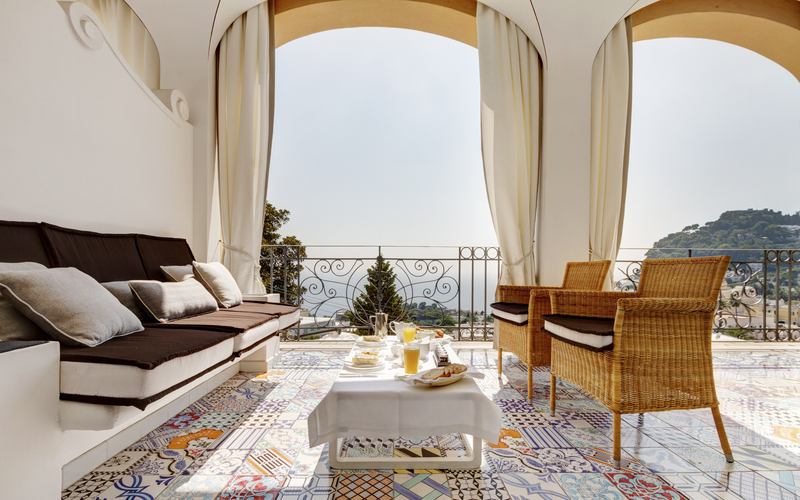 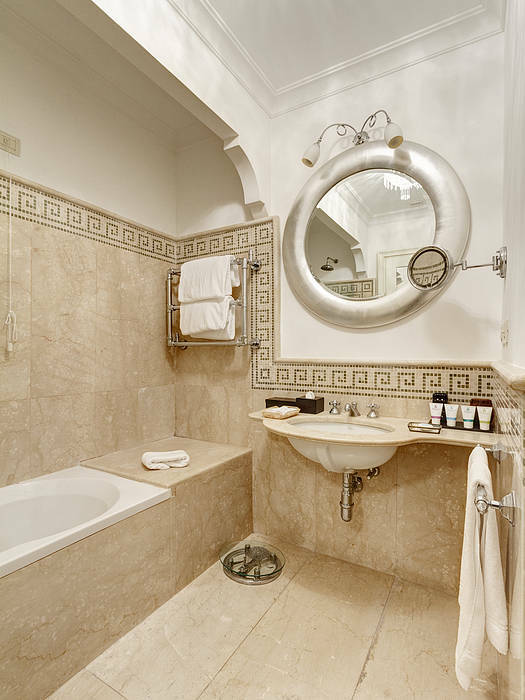 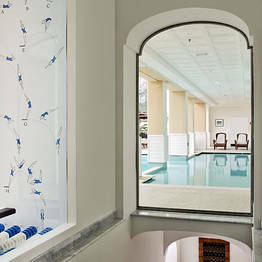 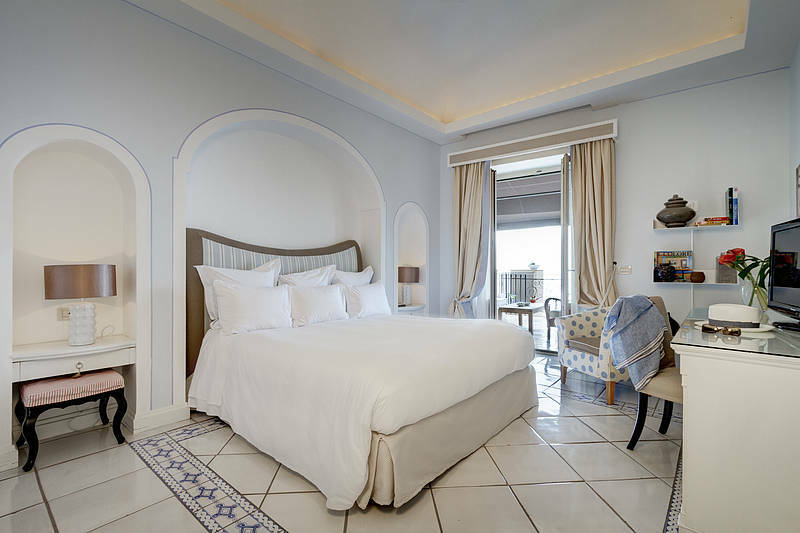 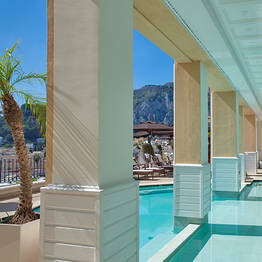 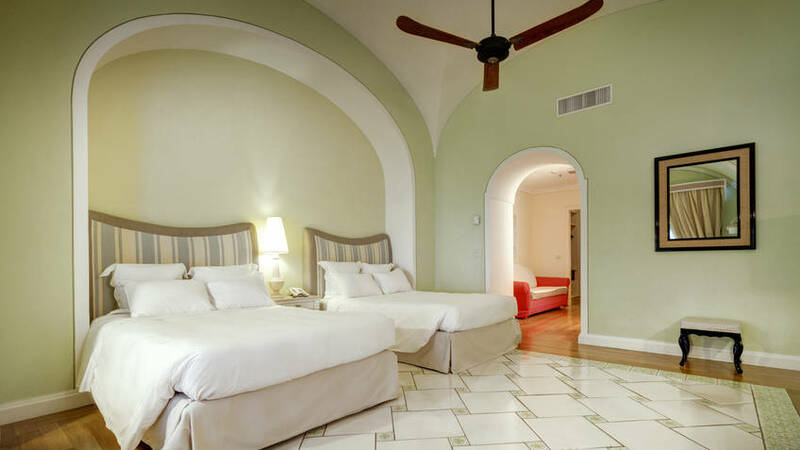 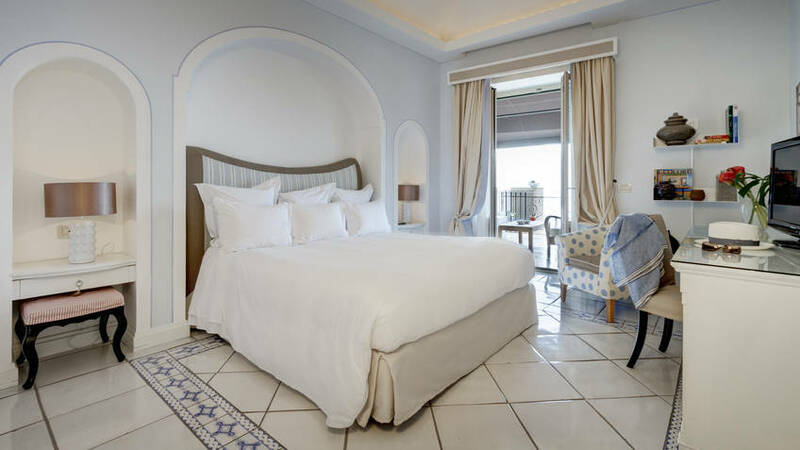 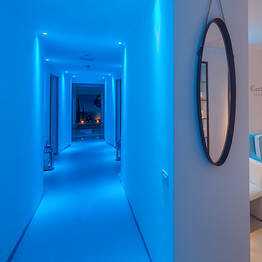 Luxury, comfort, hospitality: these are the cornerstones of the Capri Tiberio Palace tradition. 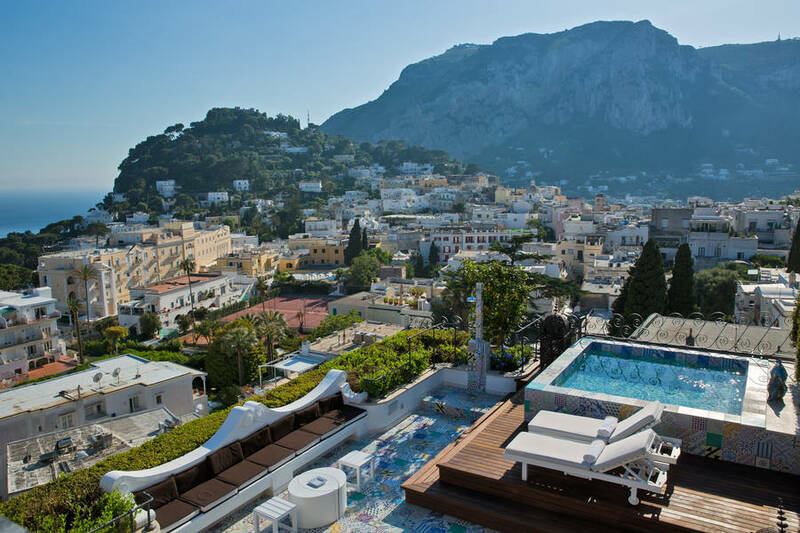 Since the beginning of the 1900s, this exclusive 5 star hotel on Capri has been an intimate and private retreat in the heart of the island. Just minutes from the bustling and famed Piazzetta, yet when you are admiring the endless view from the sweeping panoramic terraces, you feel transported a world away. 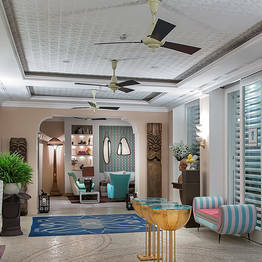 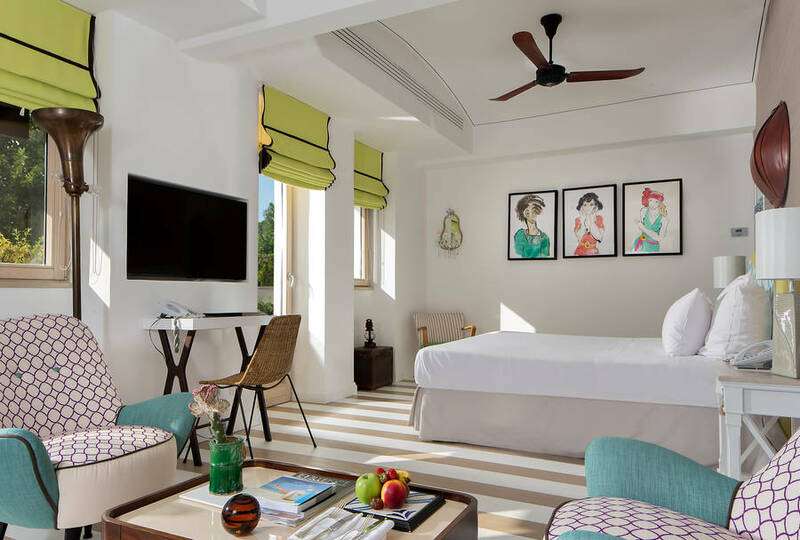 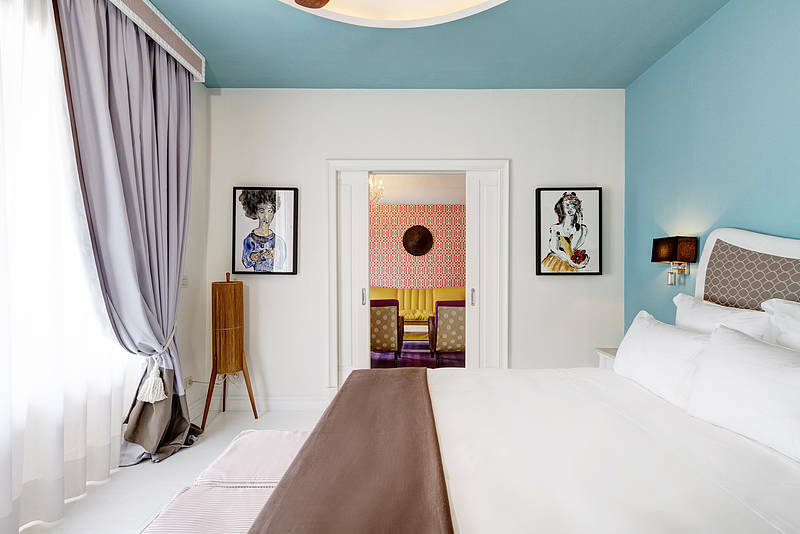 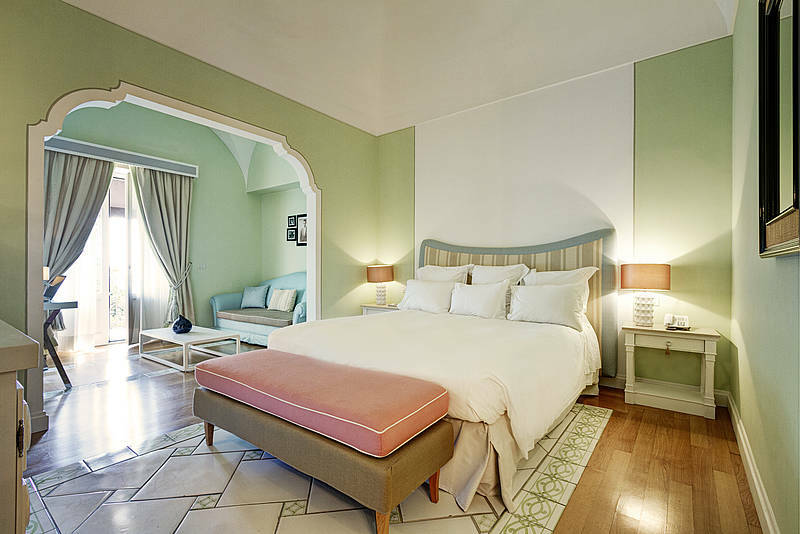 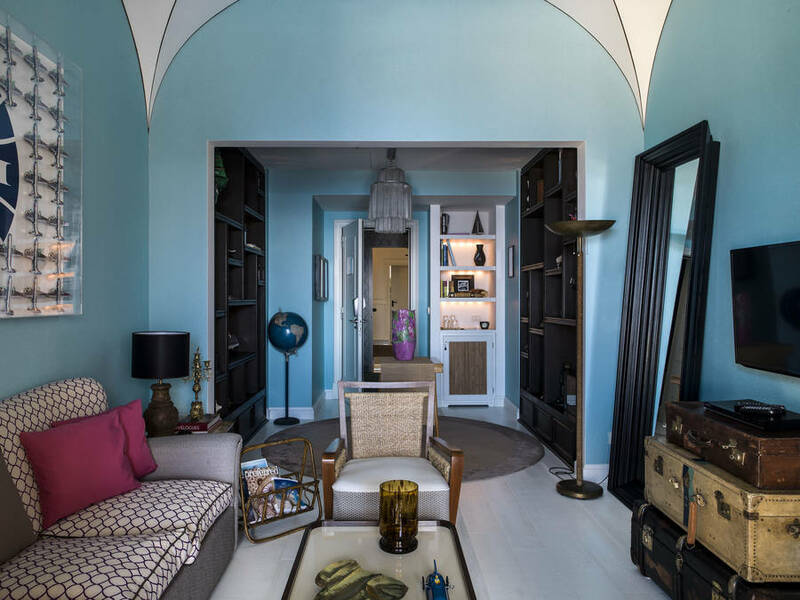 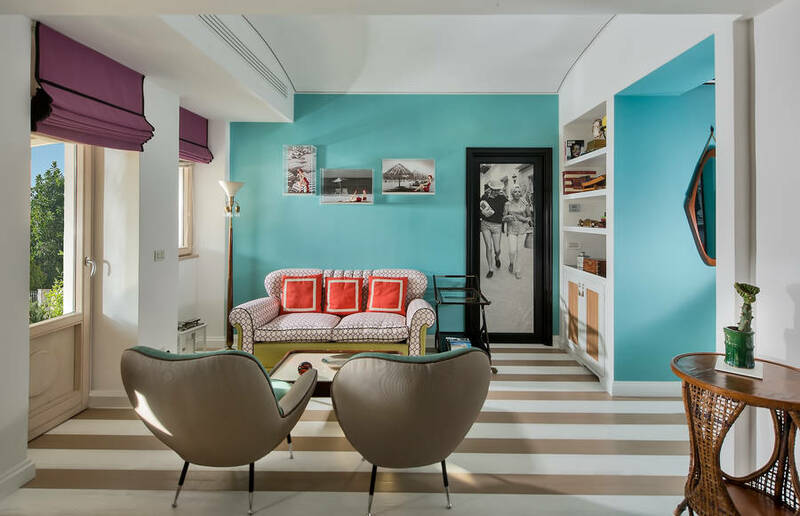 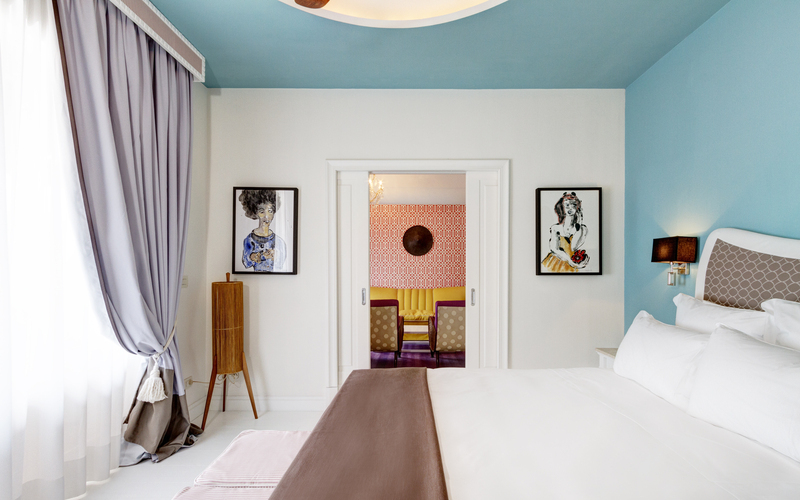 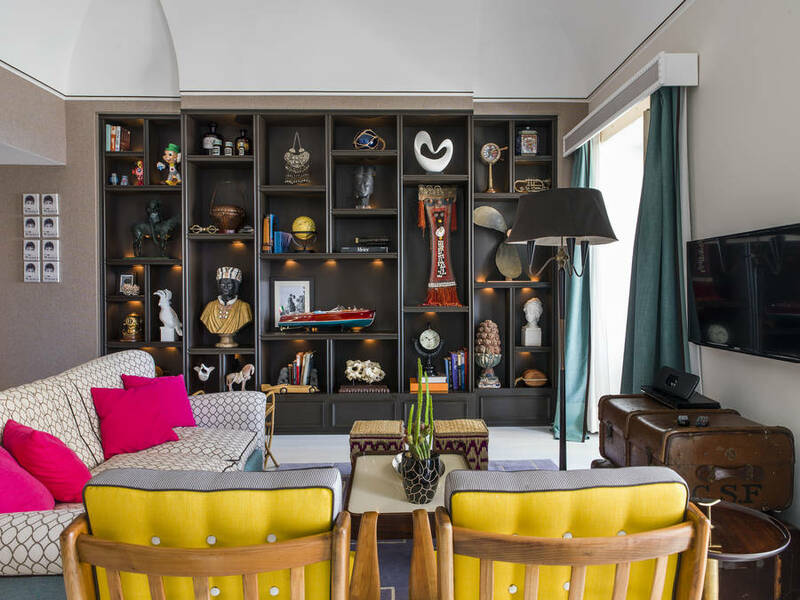 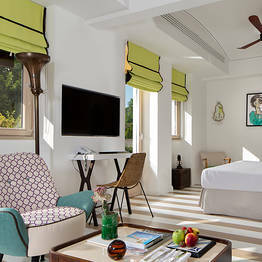 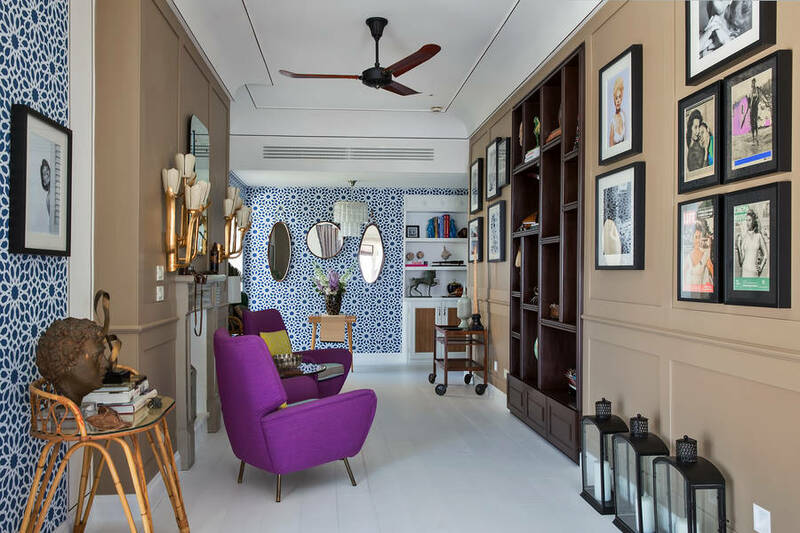 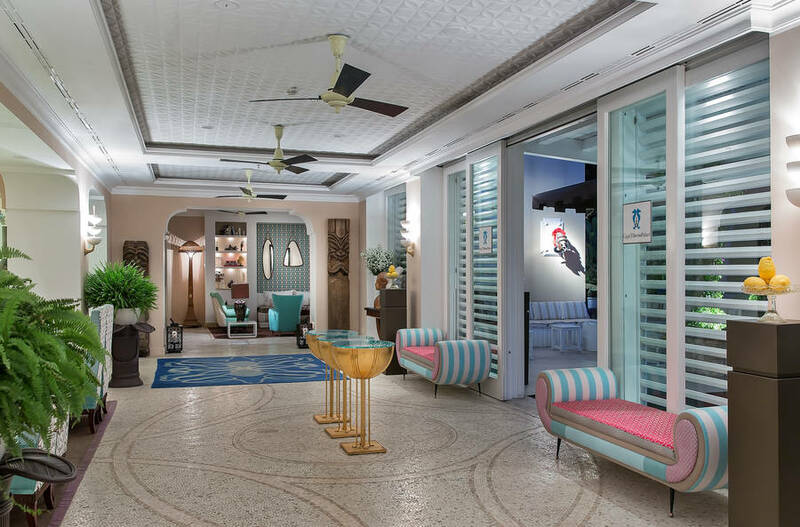 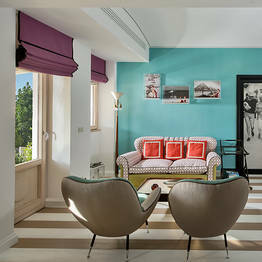 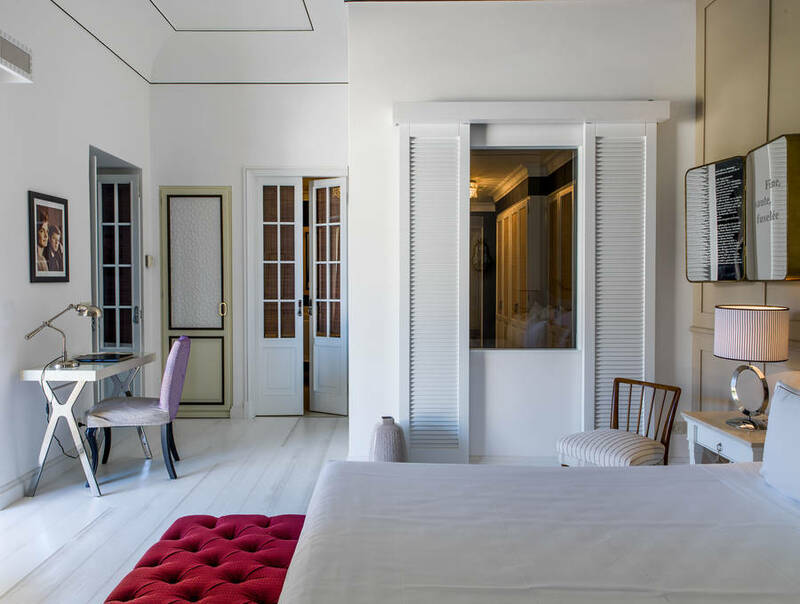 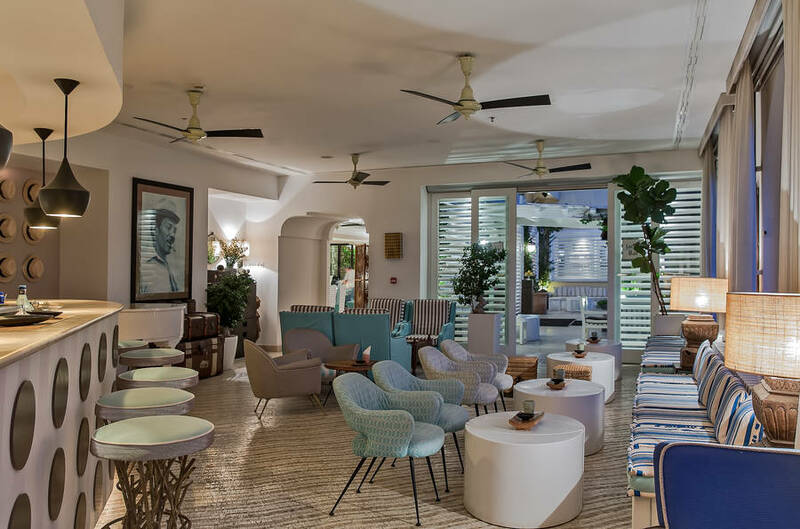 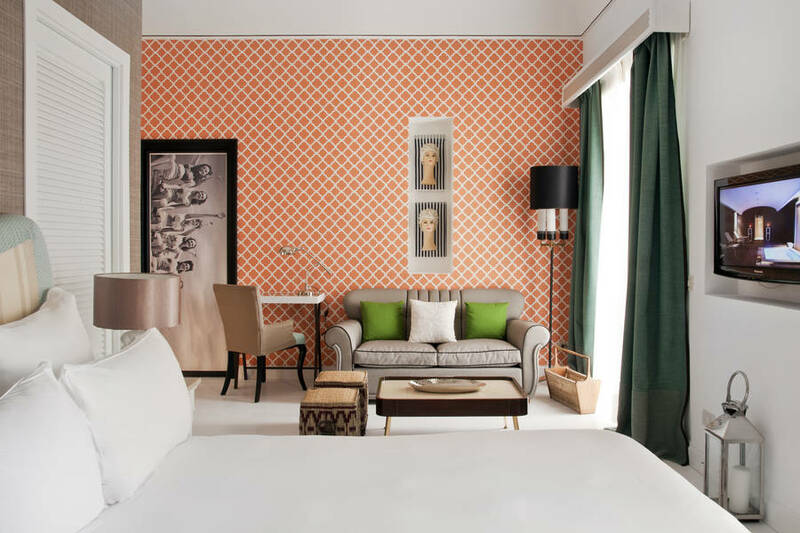 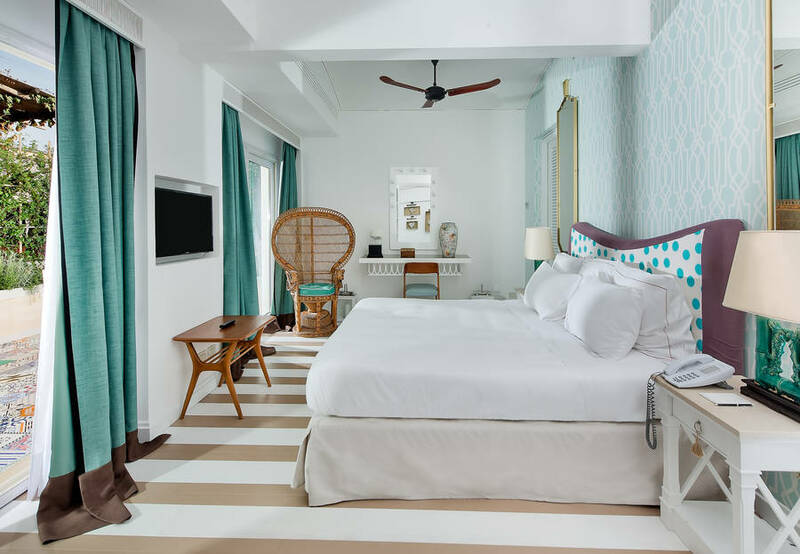 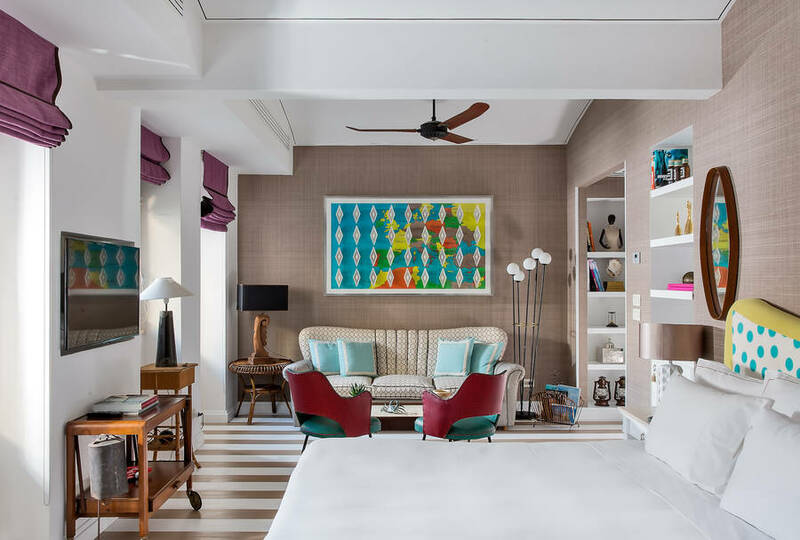 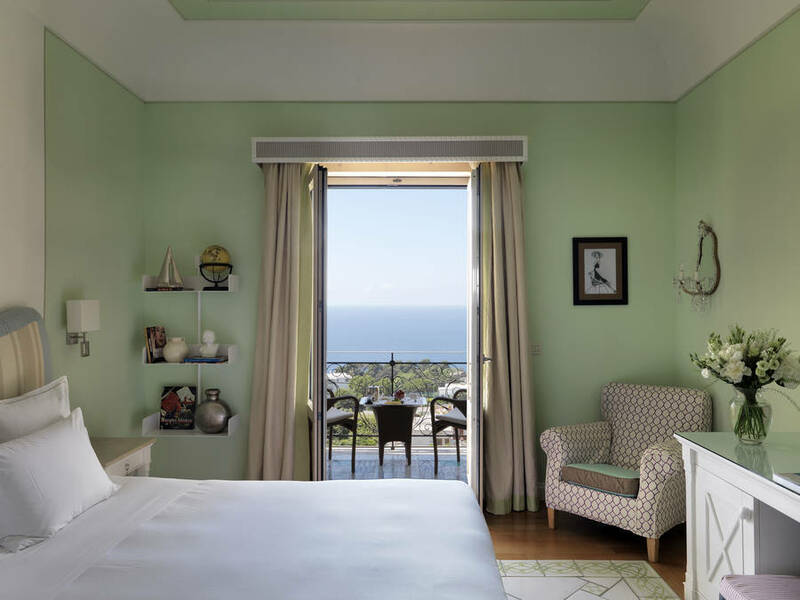 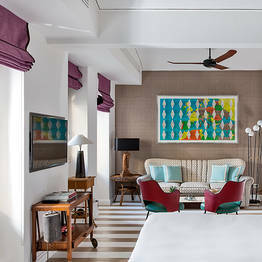 Guests of the Capri Tiberio Palace are transported back in time in the vintage rooms and suites with a contemporary decor inspired by 1950's glamour. 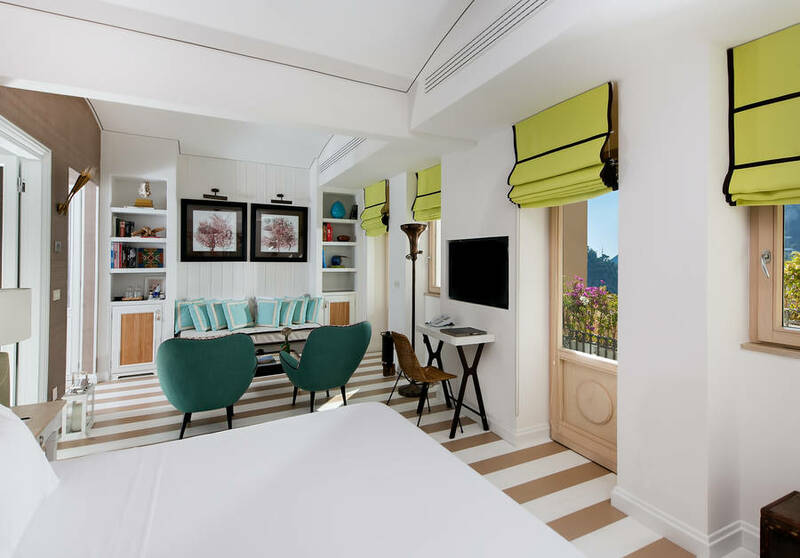 The most luxurious is the Bellevue Suite, with its Hollywood style and sweeping panoramic terrace with private swimming pool. 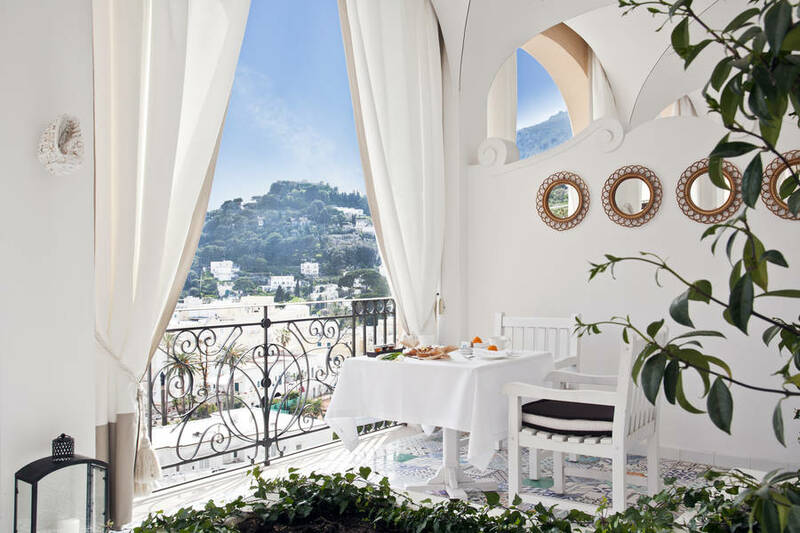 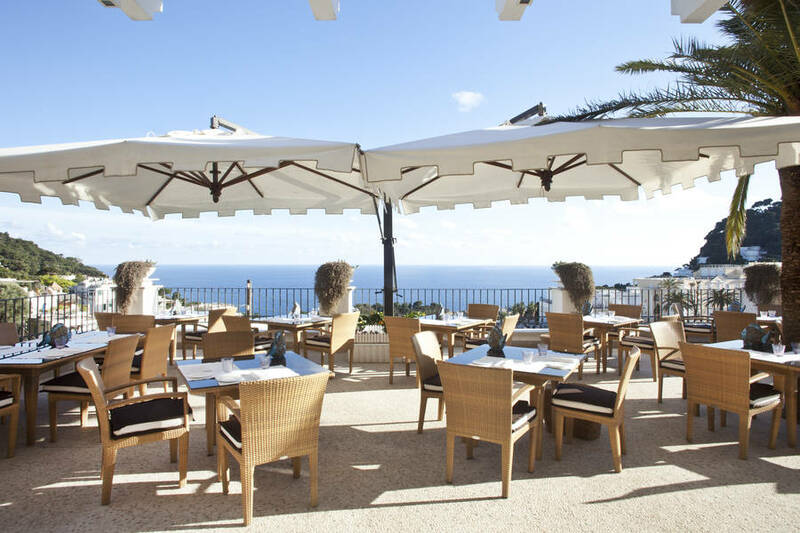 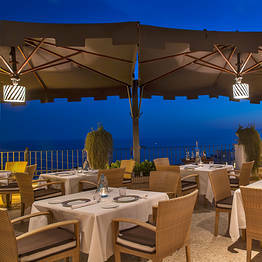 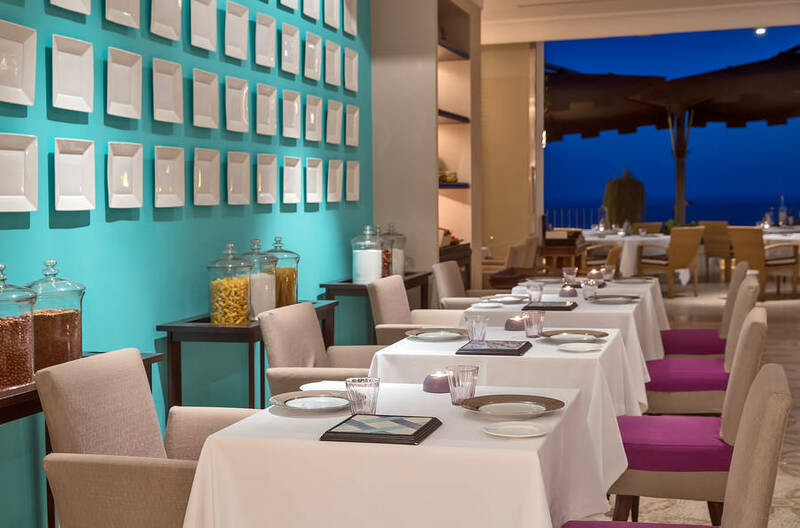 The hotel's La Terrazza Tiberio restaurant was the first and is still the only Kosher restaurant on Capri. 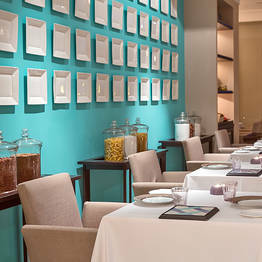 The menu includes Kosher dishes approved by the Orthodox Union for guests who follow a Kosher diet. 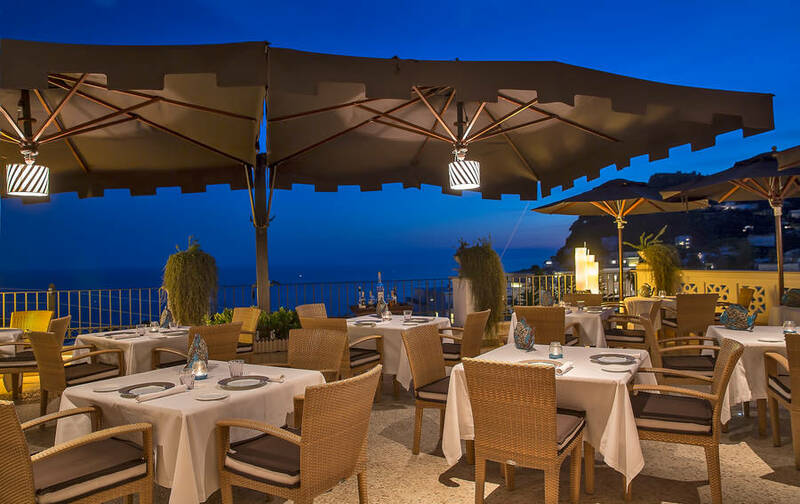 All the dishes are prepared according to Kosher law and rabbi approved to guarantee the highest quality and freshest ingredients in this blend of Mediterranean cuisine and Kosher tradition. 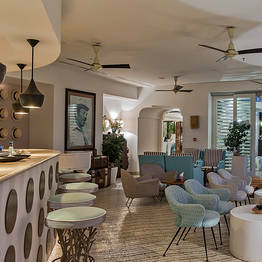 The Jacky Bar is the hotel's cocktail lounge where guests gather for a pre-dinner aperitivo or a sunset cocktail. 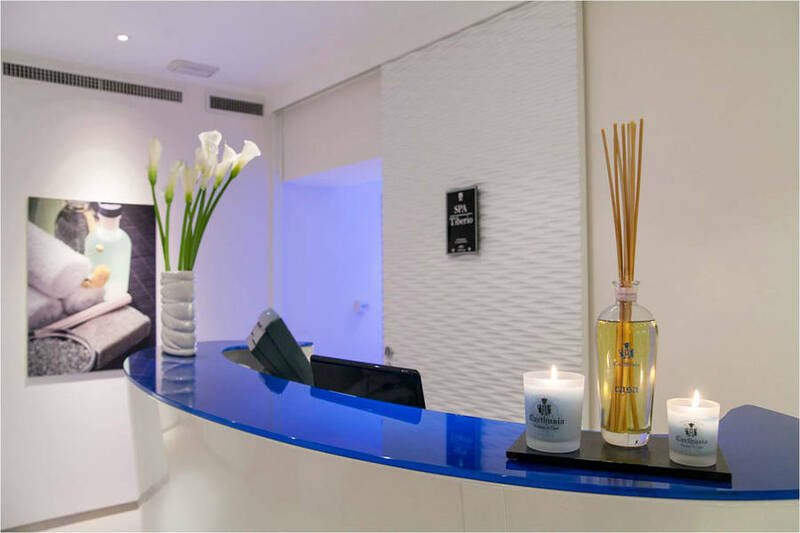 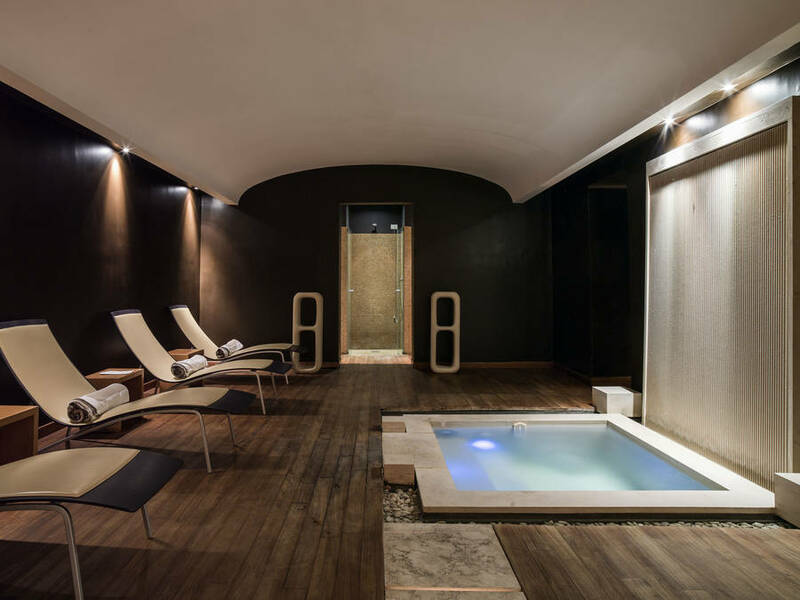 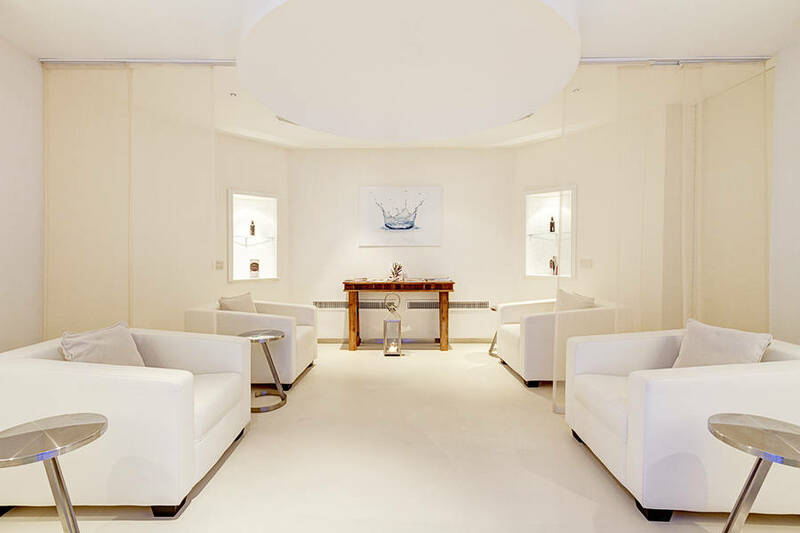 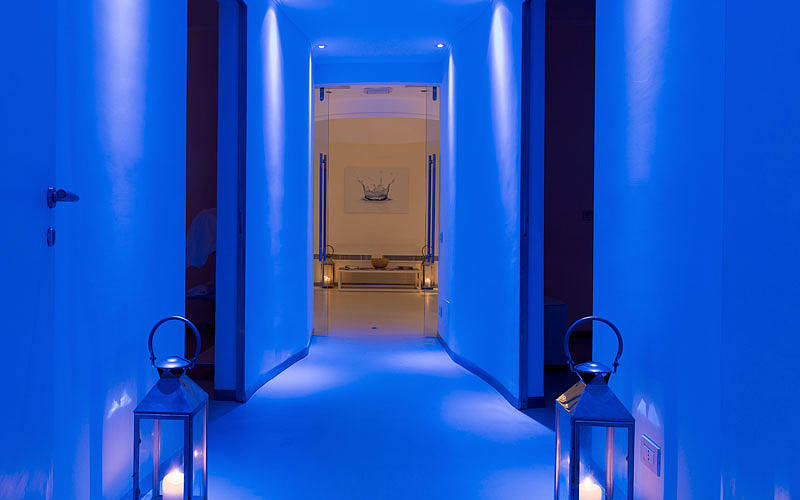 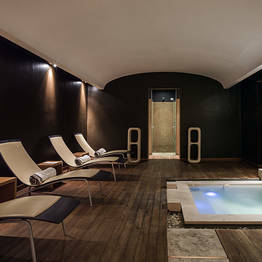 The hotel's crown jewel is without a doubt the Spa Tiberio, with its exclusive Percorsi Acque therapy and natural treatments. 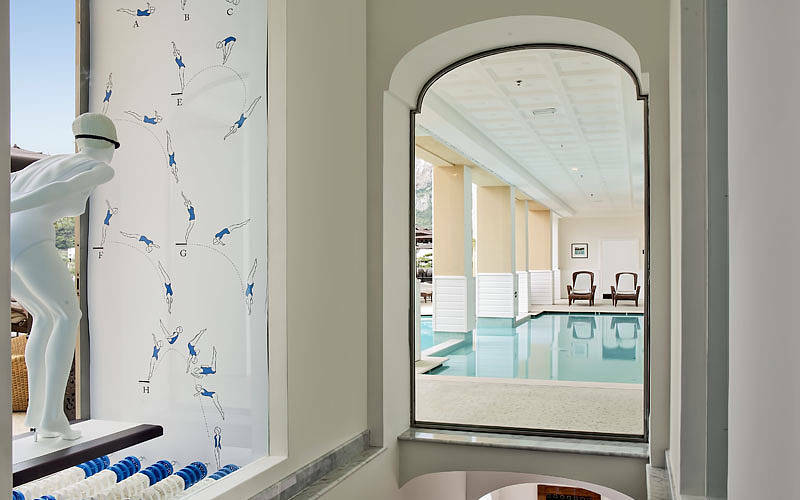 For a leisurely and relaxing afternoon, try the in-and-out pool. 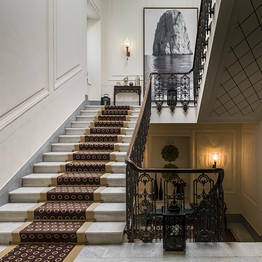 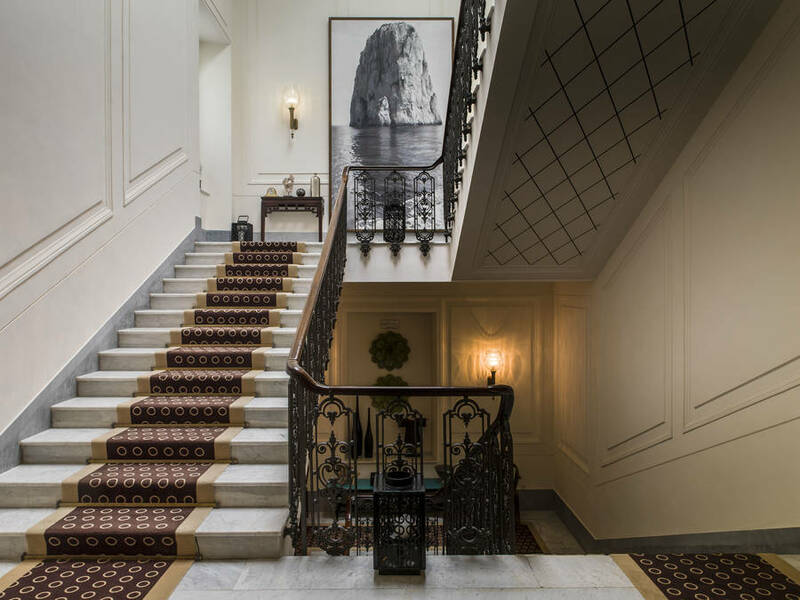 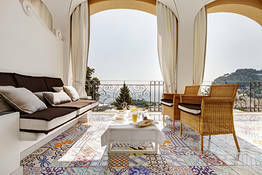 To reach Capri Tiberio Palace, let us know your arrival time on the island in advance and a staff member will meet you at the port of Capri to give you all the information you need to arrive at the hotel and arrange a luggage porter (with a surcharge). 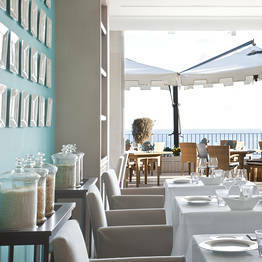 "The breakfast served on the sea view terrace was excellent. " 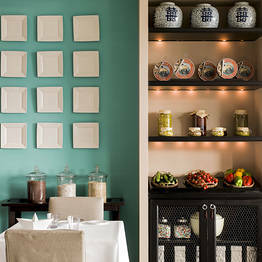 "The food in the hotel restaurant was excellent." 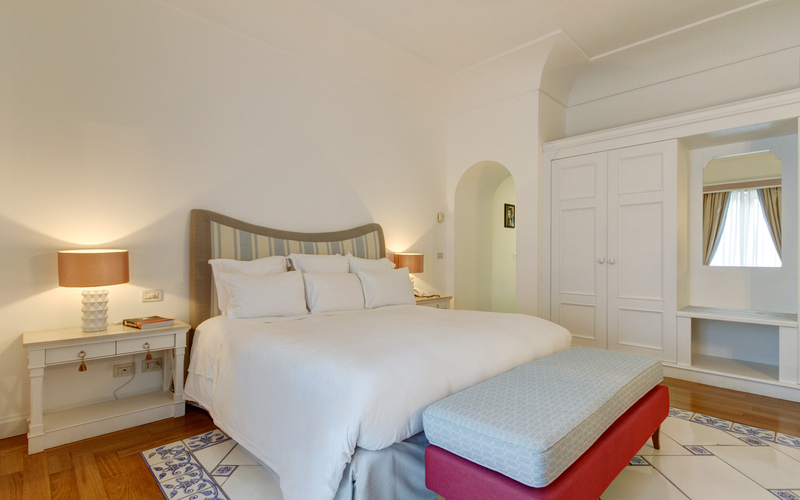 "The beds were wonderfully comfortable and had plenty of soft cushions. " 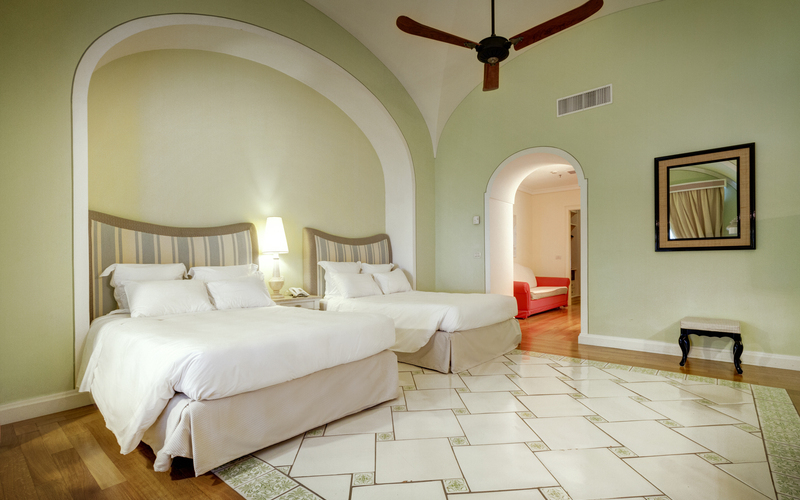 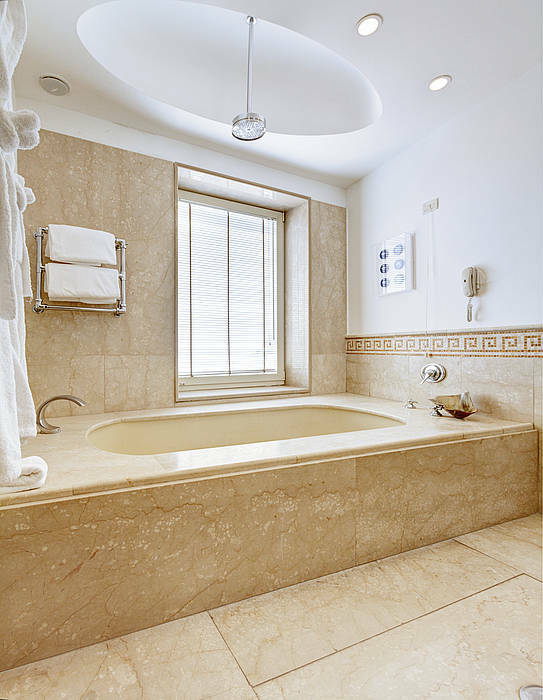 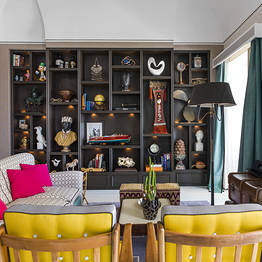 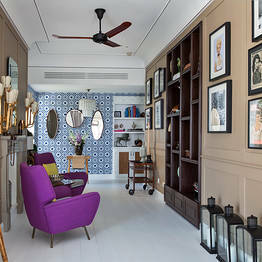 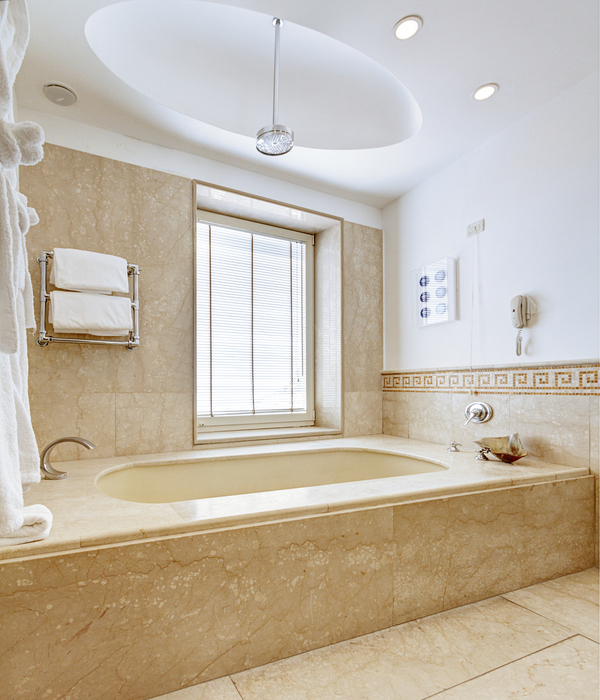 "We were really pleased with everything about the hotel. We had a wonderful experience and will certainly be staying here again and recommending to others. " 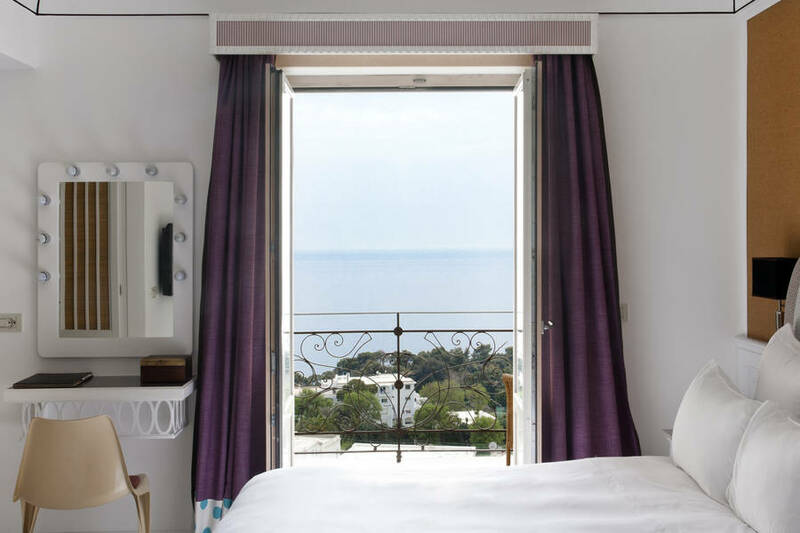 "The lack of a view was compensated by the size of the rooms. " 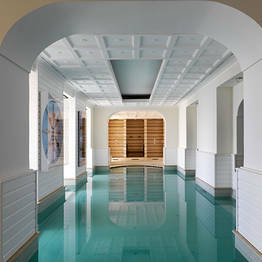 "The indoor pool, modeled on a Roman bath." 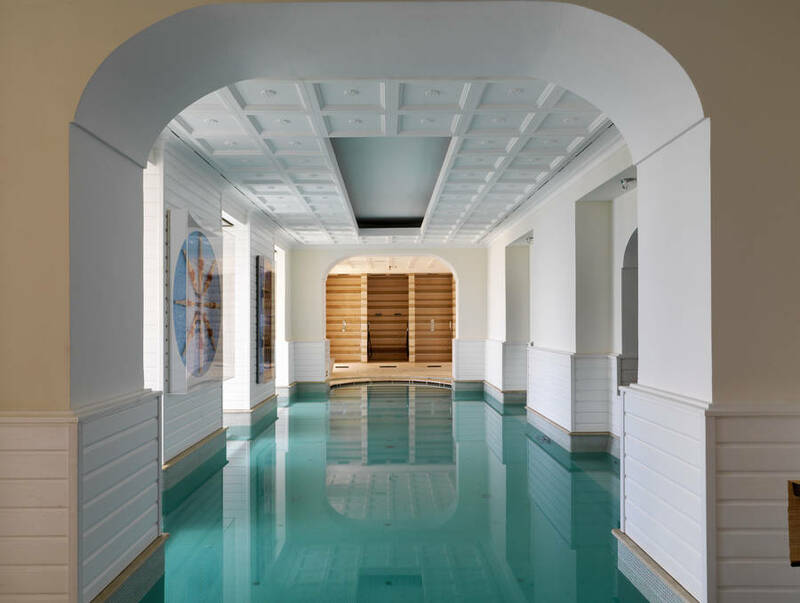 "The gym is new and really beautiful. " 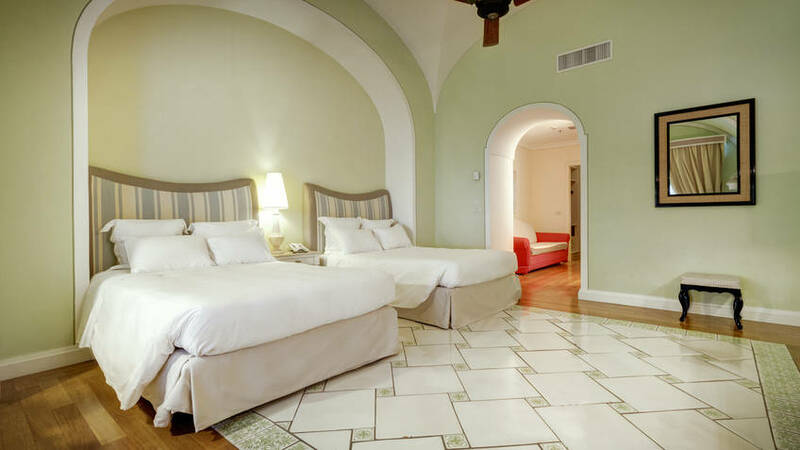 "We found the hotel to be exceptional. 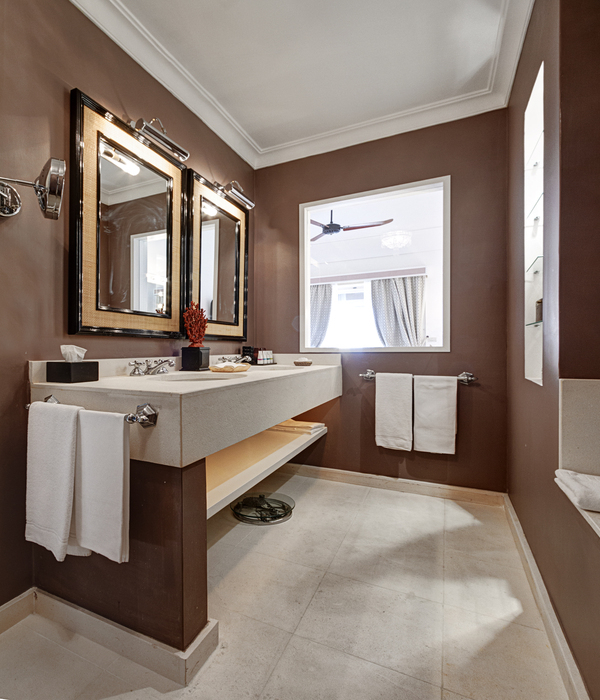 We have traveled all over the world and the TP is one of the best anywhere. 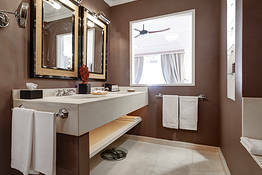 Elegant without being pretentious. 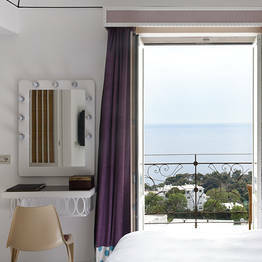 Our room (and deck) was superb. " 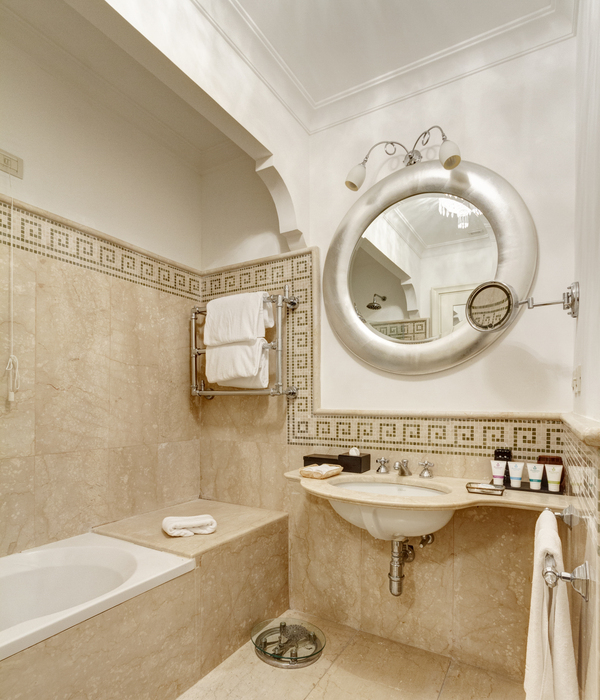 "I left my diamond earrings and the cleaning crew put them in my bag, very honest and nice!! 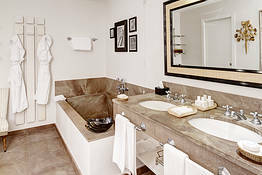 i was hugely relieved!! 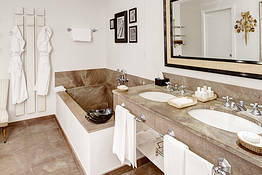 The conceirge was helpful and very nice." 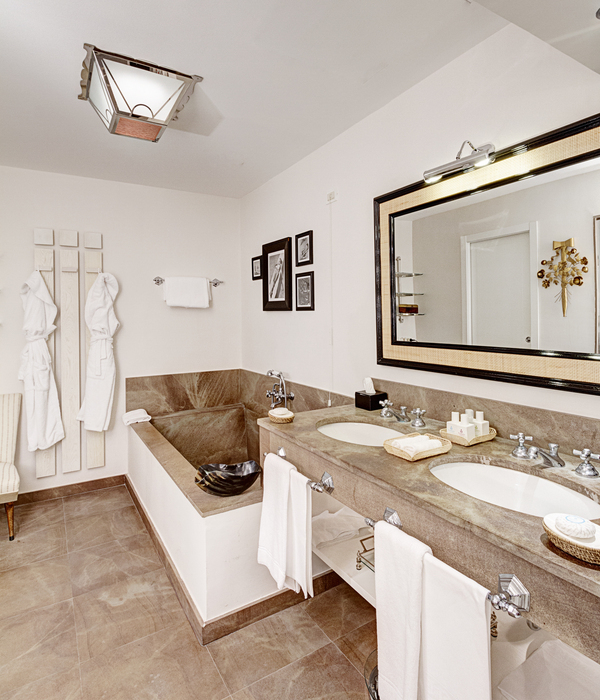 "The service was exceptional. 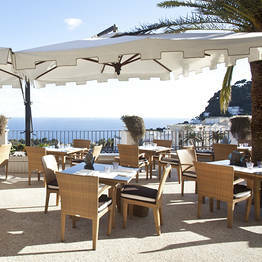 Giada and her staff made the trip for us! 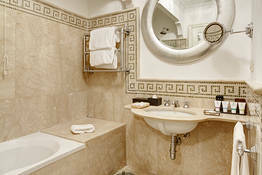 Not only were they efficient, but the staff's heart was into everything they did. 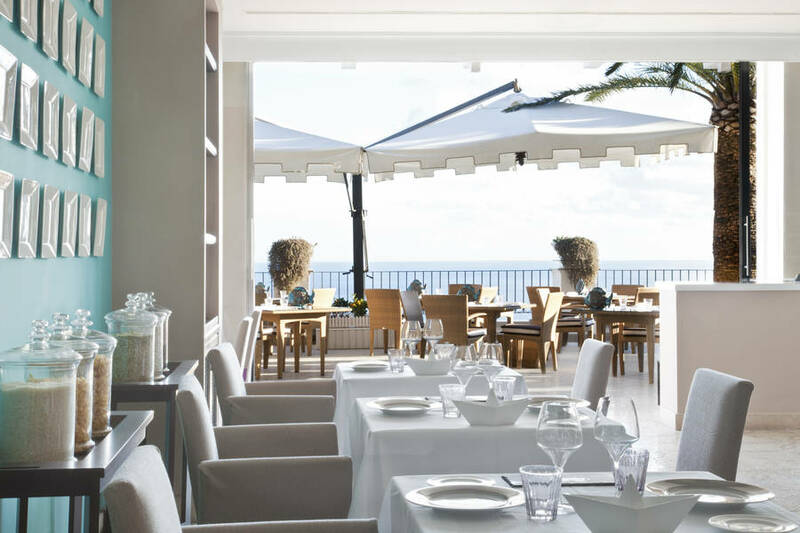 Kudos for Giada and all who we met there. " 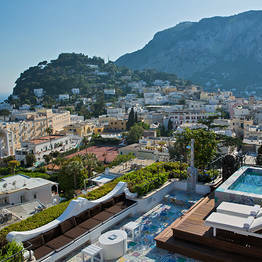 Possibly the nicest hotel I've ever stayed at. 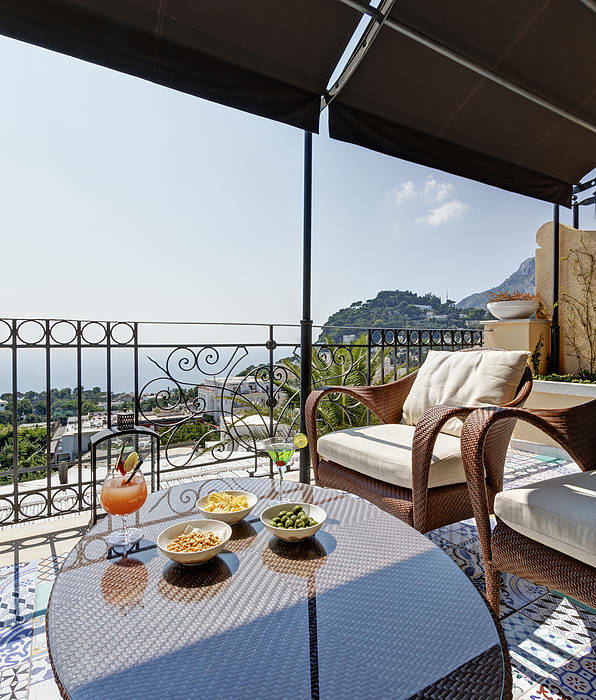 At the start of the path which leads to Villa Jovis, Capri Tiberio Palace is situated right in the center of Capri, within easy walking distance of the famous Piazzetta' and the town's elegant designer shopping district. 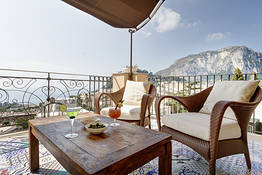 Strolling along the picturesque little lanes which characterize the historic center, guests soon reach the island's 14th century Charterhouse of San Giacomo and the panoramic terraces of the Gardens of Augustus, from where spectacular views of both the Faraglioni and the bay of Marina Piccola can be seen. 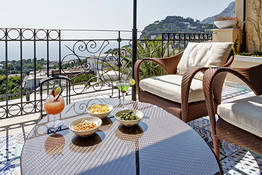 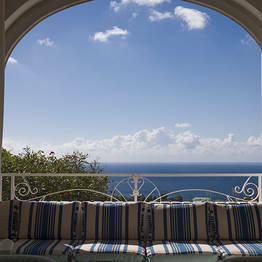 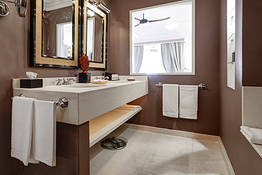 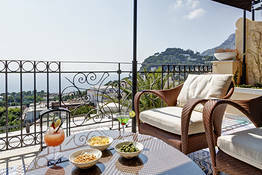 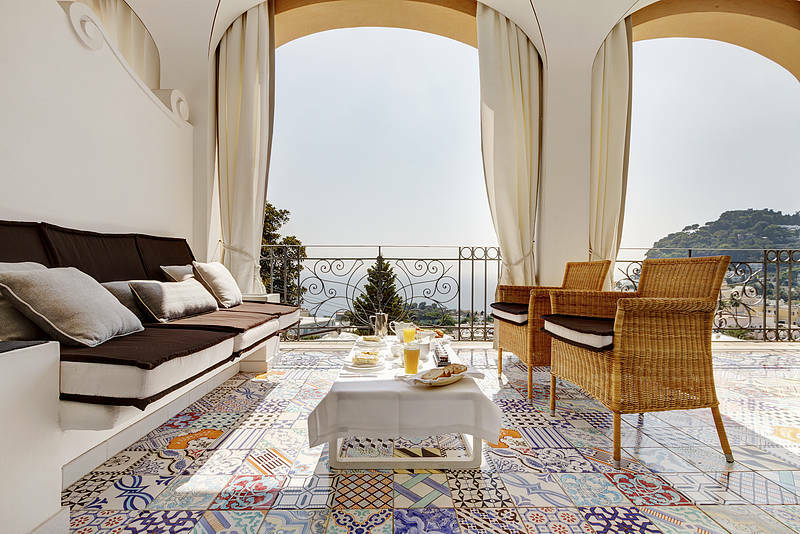 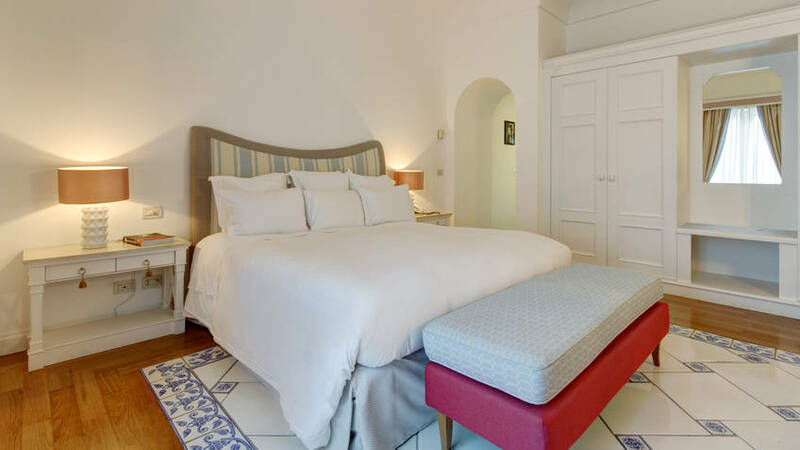 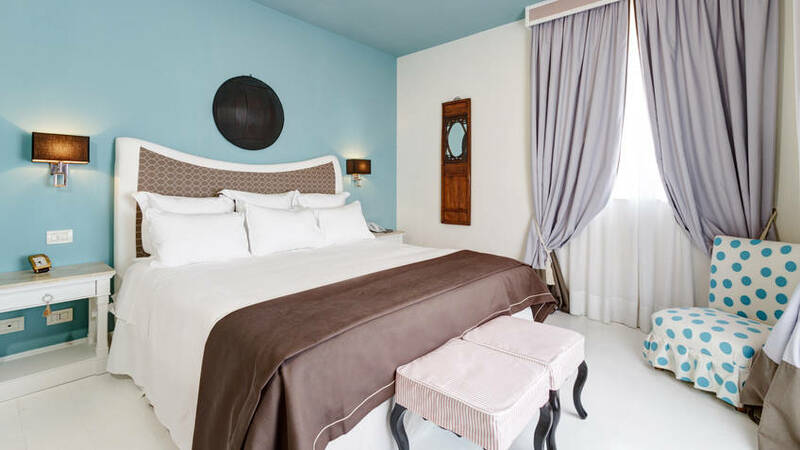 Book Capri Tiberio Palace on Capri.net now with no additional booking fees.